Do you absolutely need a smartphone from the big manufacturers like Samsung, Huawei or even Apple? Or can you live with a OnePlus 6? I’ve been using the OnePlus 6 for over 100 days now and I’d even go as far as to say that the features on the OnePlus 6 are convincing, if not addictive. Smartphones, especially those in the high-end market, are becoming more and more expensive and have mutated into a kind of status symbol for users. An iPhone XS of the latest generation comes at a price tag beyond the 1,000 dollar mark. Samsung and Huawei have now also passed this threshold. Smartphones from big brands are officially outside the reach of the masses. The OnePlus 6, on the other hand, will cost you only around 530 dollars. First of all, there are some features and functions on the OnePlus 6 that are better on other smartphones. This includes the camera. The OnePlus 6’s dual camera is good, but can’t quite compete with a Huawei P20 Pro, a Galaxy S9+ or a Google Pixel 2. But does that mean that the camera on the OnePlus 6 is unusable? Far from it. Even you, our community of readers, decided in our camera duel between the OnePlus 6 and Samsung’s Galaxy S9 that the outsider takes better pictures than the flagship from South Korea. If you like to document important events in your life on your smartphone, the OnePlus 6 can get the job. There is a very attractive portrait mode thanks to the dual camera, and there’s the option of capturing distant objects with the help of dual zoom. The front camera is also good, but just like the main camera, the quality of the photos decreases with dim light. Despite the weaknesses in dark environments, you can’t say that the entire camera setup of the OnePlus 6 is unusable. You can say the same thing about almost all the other features. The speakers are okay, although they are just mono speakers. IP6X certification would be great, but the OnePlus left this out to cut costs. Wireless charging? That would have also pushed up the price of the OnePlus 6. But why would you need wireless charging when the fast charging technology via cable already charge the smartphone so rapidly? Even QHD resolution isn’t needed with the OnePlus 6, since otherwise the battery life would suffer. The best feature on the OnePlus 6 isn’t so easy to describe, since you need to have the smartphone in your hand to experience it for yourself. The combination of software and hardware is great and even after more than 100 days of intensive daily use, the system still runs smoothly and quickly. This is noticeable when you have the chance to pick up one of the other top smartphone of the established brands. The OnePlus 6 is always significantly faster and more fluid. In times when more and more Chinese manufacturers, namely parent company OPPO along with Xiaomi and Co., are establishing themselves in Western markets, OnePlus has less room to stand out. But the younger competition from China first needs to understand how global markets tick. Over the years, OnePlus has worked diligently on Oxygen OS. From my personal point of view, the UI is in the perfect middle ground between a manufacturer UI and Android stock. After a few days with Oxygen OS, I was no longer averse to gesture control. OnePlus has based its gestures on the iPhone X gestures, which makes life easier for iPhone users who are willing to make the switch. Goodbye navigation buttons, you won’t be missed! It’s refreshing in 2018 when a smartphone manufacturer doesn’t immediately come around the corner advertising its ‘AI’. Okay, the year might not be over yet, and the OnePlus 6T will give them a second chance at a release. But fortunately, there’s no AI on the OnePlus 6. Instead, the OnePlus 6 comes with practical features such as the alert slider. It’s a welcome surprise, especially for working parents. In meetings, you can simply mute the smartphone and it won’t start humming or ringing. If you put your child to bed, you can also switch it on and effectively silence the smartphone without lighting up the room with its display. The quick charging technology, formerly known as Dash Charging, which is actually only a renamed version of Oppo's Super-VOOC charging technology, ensures relaxed use. If you approach the red zone with your battery level indicator, then you’ll only need the mains adapter and the charging cable and within 80 minutes the battery will be fully charged again. I don’t need wireless charging if it’s faster with a cable. After over 100 days of continuous use, I have to say that the OnePlus 6 is a consistently good smartphone that has no serious weaknesses. The camera is good and solid, even in 4K video mode, thanks to its support for 60 fps and OIS. The whole software experience is fluid and the OnePlus 6 never really comes to a standstill. The fact that Oxygen OS 9 is available now, is a big deal, since the OnePlus 6 is now one of the first devices to come with Android 9. Unfortunately, the OnePlus 6 is still lacking the VoLTE and Wi-Fi calling in some countries. With these two features, the OnePlus 6 would be a perfect smartphone from my point of view. 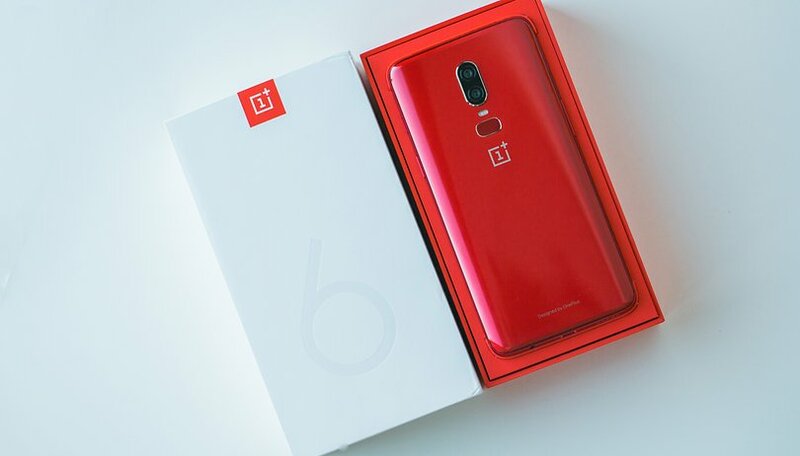 There is actually only one reason not to recommend the OnePlus 6, and that’s because OnePlus decided to change the name to the 6T. P.S. : If you don't like the notch of the OnePlus 6, you should know that there are other great top smartphones available. You can just wait until the OnePlus 7 will be on the market in the first half of 2019, by the time which the ubiquitous notch may be a thing of the past. Have you tried the OnePlus 6? What do you think about it? i'm planning to buy this phone, but how are the speakers ? iknow the op6t is right on the conor but the notch is not symmetric. Battery life wasn't as good as I had hoped though, but the software and hardware is great!